Brix & The Extricated will release their new single ‘Moonrise Kingdom’ on 15th September on Blang Records. 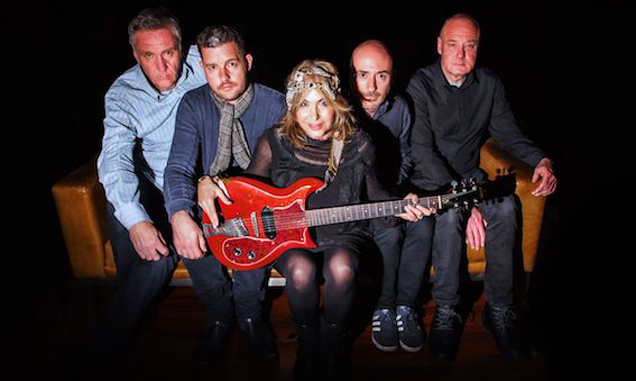 Brix & the Extricated have – in the words of an old Fall lyric – something of a “track record”. Brix Smith Start is one of the few true female rock icons of the indie and alternative era, an inspiration for generations of women, not just those who play music. Her best-selling 2016 autobiography, The Rise, The Fall And The Rise, detailed a hugely eventful life including the years in which she was married to Fall singer Mark E. Smith and wrote songs and played guitar in the group. Steve Hanley’s own acclaimed memoir, 2014’s The Big Week, revealed what is was really like to spend 18 years in the Fall, the longest spell of any member of the iconic and influential Salford group. ‘Moonrise Kingdom’ is a gorgeous dreamy piece of music, with hypnotic undertones and psychedelic edges. 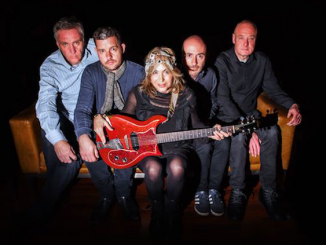 It shows the breadth, delicacy and musicianship of The Extricated as a band. Another former member of The Fall, Steve Trafford, wrote the music, which was originally titled ‘Midnight In Aspen’ and featured on 2005 album ‘Fall Heads Roll’. Once the melody and lyrics were done, Brix travelled up to Manchester to meet up with the rest of the band – Stephen Hanley (bass), his brother Paul Hanley (drums and another Fall refugee) and Jason Brown (guitar) – and play them what she’d written. They wrote their parts and the final version fell into place. Steve Trafford added a tight blended harmony to Brix’s vocal part on the chorus, and the song changed and morphed again into more of a duet, echoing the passionate connection of the protagonists. ‘Moonrise Kingdom’ debuted live on Brix & The Extricated’s first tour in November 2015. The band honed it on the road, where it softened down some and the musical dynamics became more delicate. By the time they arrived at Blueprint recording studios in Manchester in November 2016 it had evolved into what it is today. 2017 has already seen Brix reaching a new audience with her fantastically received BBC 6Music show (sitting in for Guy Garvey). And now with this sonic juggernaut of an album that infuses hypnotic brutality with sunlight, harmony, hooks and riffs, Brix & The Extricated will not only enthrall and delight their current fans but they are sure to win an army of new ones. ‘Part 2’ is released on 22nd September 2017 on Blang Records. Stephen Hanley (The Big Midweek – Route Pubs) and Brix Smith Start (The Rise, The Fall, And The Rise – Faber & Faber) have both written critically acclaimed, best-selling memoirs, about their lives as musicians and their years in The Fall, which are widely available.